Red eye flight tips. 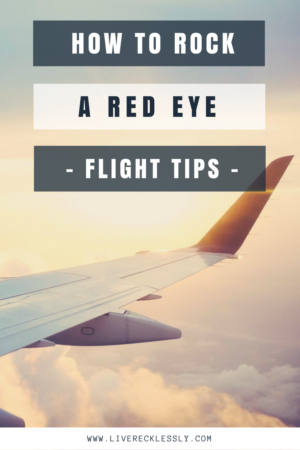 Learn how to rock a red eye flight and land feeling like a legend! What seat is best, what to wear and what to bring to help you sleep.